Posted by Stuart Herbert on February 7th, 2011 in Cardiff, Modern, River Ely, Single Shot Series, Walking Routes. The area around Pont y Werin bridge is a little congested visually, perfect for shots like this showing a jogger in red crossing the footbridge whilst a white van heads west on the A4232 away from Cardiff Bay. Posted by Stuart Herbert on February 4th, 2011 in Cardiff, Leisure, Modern, Penarth, River Ely, Single Shot Series, Walking Routes. 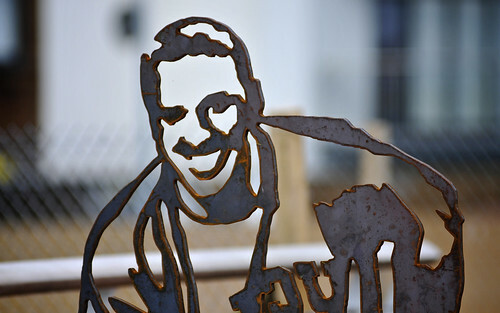 A piece of street art at Pont y Werin bridge, which was opened in 2010 to link Cardiff Bay to Penarth. Posted by Stuart Herbert on February 2nd, 2011 in Cardiff, Modern, River Ely, Single Shot Series, Walking Routes. The new apartment blocks built down in Cardiff Bay provide many photo opportunities, especially those around the new Pont y Werin bridge connecting the bay to Penarth. 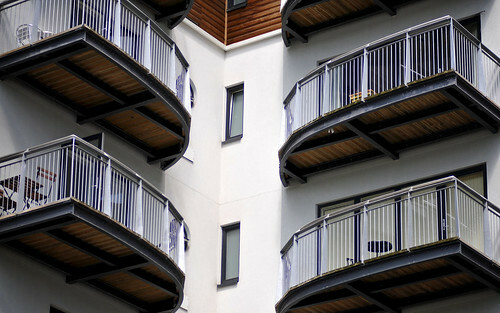 I loved the way the jutting out balconies drew the eye in, and yet at the same time provided a rich contrast to the brilliant-as-new white walls of the apartment block itself. Posted by Stuart Herbert on October 14th, 2010 in Cardiff, Leisure, Modern, Penarth, River Ely, Single Shot Series, Walking Routes. Earlier this year, a new footbridge called Pont y Werin was opened across the River Ely, connecting Penarth and Cardiff Bay and providing a circular walk / cycle path around the bay and the Cardiff Barrage. The banks of the Ely at this point are buried beneath modern apartment developments, and when you throw in the marina too, the area is a microcosm of how Cardiff has changed since the docks closed. 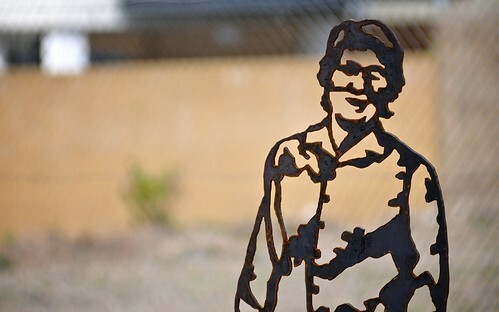 At the eastern end of the bridge is a striking art installation of two men and a young girl. They are simple silhouettes, best viewed from a distance, and they really catch the eye no matter which side of the bridge you are approaching from. 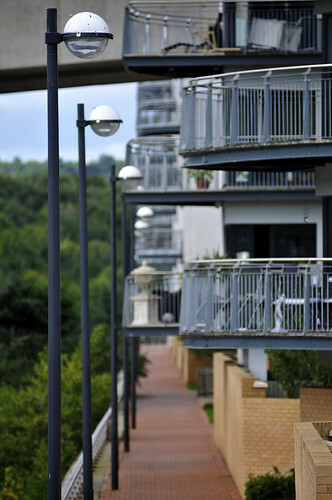 Posted by Stuart Herbert on October 7th, 2010 in Cardiff, Modern, Penarth, River Ely, Single Shot Series. 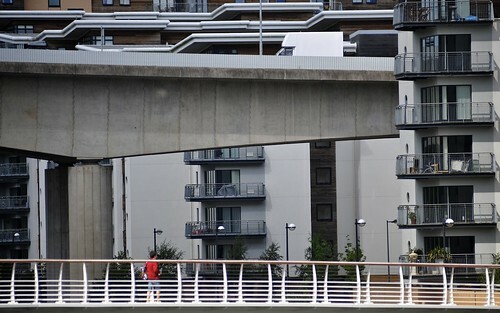 This is a shot of the apartment balconies that overhang the path that runs along the eastern bank of the Ely. In the background you can see the bridge that connects the bay road to Penarth and Barry.